NORAH has recently helped to fund four exciting drawing workshops for school children at the Norfolk Record Office. The Drawing in the Archives workshops related to an exhibition which took place at The Archive Centre in Norwich from August to November 2017. 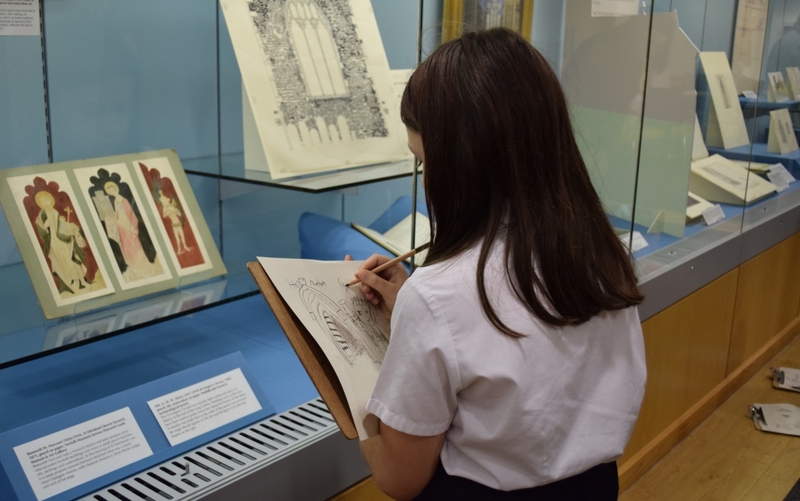 The artists who ran the workshops used the archives featured in the exhibition as a teaching resource and as inspiration for the children’s drawings. This project is typical of those NORAH aims to support. 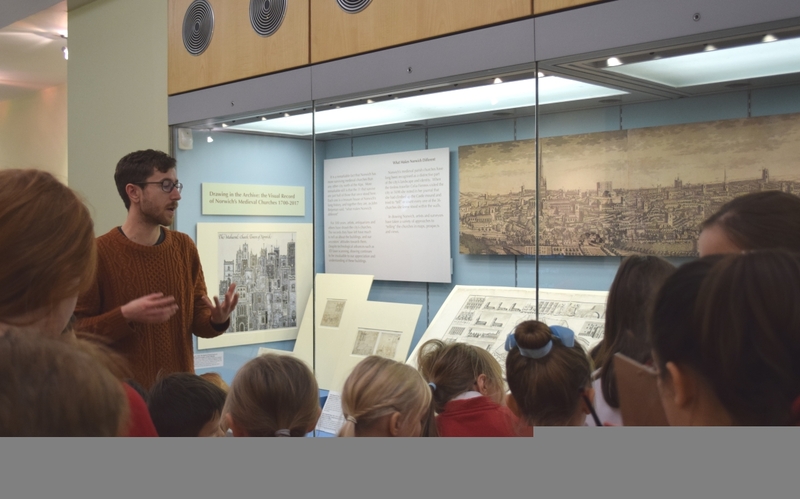 It encourages people to engage with Norfolk’s archives, especially those who may not usually do so, to learn about Norfolk’s past and to learn new skills. Furthermore, the workshops also highlight how archives can be used to support the creative industries. 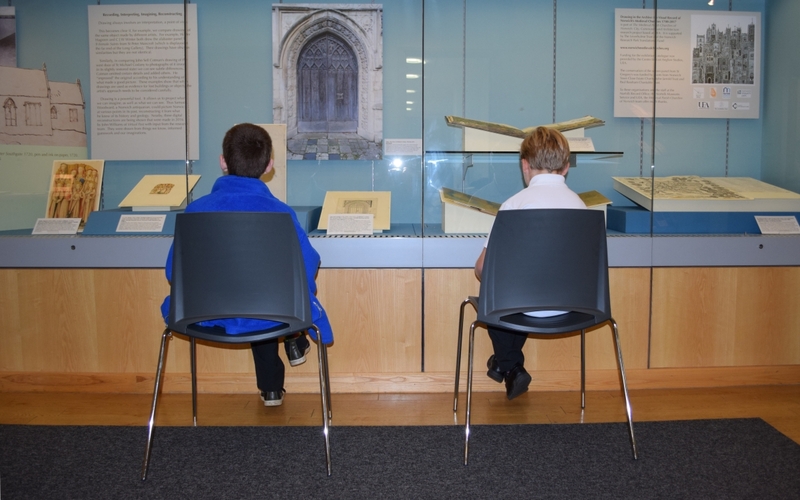 A key outcome of the University of East Anglia’s Medieval Parish Churches of Norwich project was a public exhibition. Drawing in the Archives:the Visual Record of Norwich’s Medieval Churches 1700-2017 had two aims. 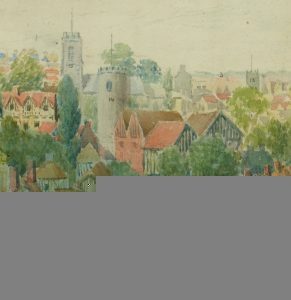 The first was to highlight the riches of the remarkable visual record of Norwich’s medieval parish churches. The second was to explore what it tells us about the buildings and their contents. Many activities accompanied the exhibition. Whilst many of these activities were for the general public, those people who organised the exhibition wanted to aim some of the events towards young people. The workshops supported the Key Stage 2 section of the Art and Design national curriculum. They allowed pupils to use different materials and encouraged creativity and experimentation. The workshops were led by Norfolk based artists Paul Fenner and Doug Farthing. Pupils were encouraged to analyse why particular drawings were created and why they may differ from what the artist saw. They saw the importance of historical drawings as a resource for learning about the past, especially when the the subject of a drawing no longer survived. In addition, the students explored differences between perceptual ways of depicting space and more abstract or schematic representations. Students were also introduced to medieval art and iconoclasm. 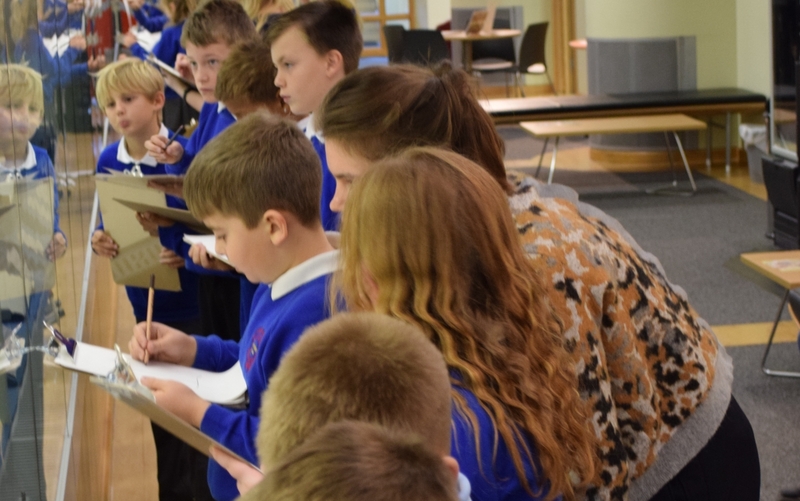 More than 80 children from five Norfolk schools attended the workshops. The schools were The Bawburgh School, Freethorpe Community Primary School, Great Dunham Primary School, Hempnall Primary School and Shelton with Hardwick Primary School. Especially telling was many of the schools agreed that without the funding, it was unlikely that they would have been able to attend the workshops. Unsurprisingly, the Drawing in the Archives exhibition featured many of Norfolk’s archives. These included the following. 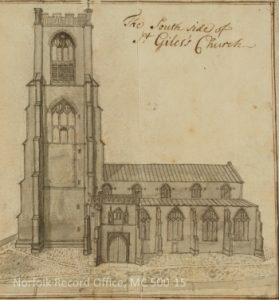 Early eighteenth-century drawings by John Kirkpatrick of the church of St Giles in Norwich (Norfolk Record Office, MC 500/15). 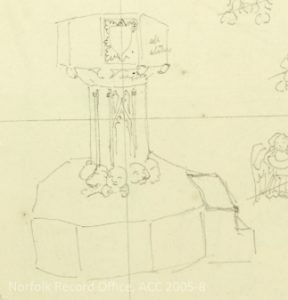 Drawings by Harriet Gunn of the church of St Gregory in Norwich, 1841 (Norfolk Record Office, ACC 2005/8 box 5). G. Colman Green’s Kett’s Rebellion Area Tudorized, c. 1926 (Norfolk Record Office, MS 177).